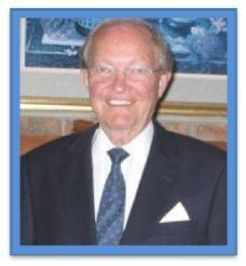 The EAL Radio Show had a very special broadcast of presenting the “Hall of Fame” Tribute Award plaque to the family of our former Eastern Airline Pilot and EAL Radio Show Host, Captain Steve Thompson. This award was sent to Steve's wife, Glenda for this special event. Neal began with a very emotional sound track and shared his feelings of his friend and host, Steve. He played several beautiful sound tracks during the evening as well. Neal invited all of Steve's family to join us and they were on the radio to give honor by sharing their favorite story. Glenda his wife, their children; Captain Chip Thompson, Retired Captain Joy Thompson Johnson, Former Delta F/A, Gay Thompson Harvey all remembering their father; Steve's sister Lynn Thompson Rhinehardt; and brother-in-law John Rhinehardt; along with their son Bo Rhinehardt. They all shared a fantastic family memory that gave us joy. We also heard from our Hosts, Jim Hart, Chuck Allbright, Dorothy and Don Gagnon, and K. Allen Boring who, too, shared their memory of working with Steve on the show, or during his tenure at Eastern. The Tribute was emotional, funny at times with stories they shared, joy for knowing such a wonderful guy, and tears for the loss of such a wonderful person. All this was done over the radio with our hosts and listeners. Then the script written on the Hall of Fame Award was read by Dorothy, and Neal presented posthumously to Glenda Thompson for Captain Steve Thompson. A very touching Tribute it was to all of us who were on the radio and for those listeners who joined us. We could hear the tears the memories brought, when some of the stories were shared by the family and the Eastern friends. Please know that this memorable event will never be forgotten, nor will Captain Steve. The family, who participated with their voices along with the Hosts that we heard, certainly gave honor to their loved one and to our special friend that made the Hall of Fame Tribute very special. Thank you for being part of our wonderful Hall of Fame Tribute and Presentation and for being part of our Eastern Family! 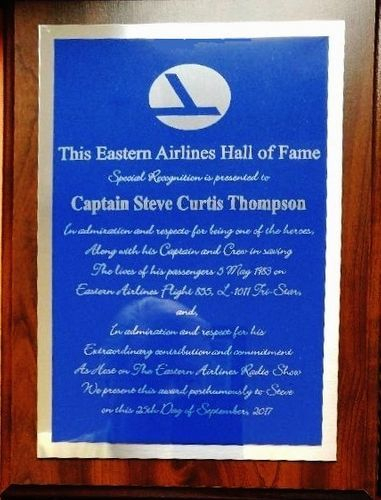 The EAL Radio Show has a special “Hall of Fame” Tribute Award plaque that we are presenting to our former Eastern Airline Pilot and EAL Radio Show Host, Captain Steve Curtis Thompson and will give this award to his wife Glenda and his family on Monday evening, September 25, 2017 at 7:00 P.M. We invite all of our Eastern Family and friends to participate over the radio with our hosts. Though we have only 25 call in telephone lines available at 213-816-1911, you can listen in on your computer by going to our Blog Talk at http://www.blogtalkradio.com/capteddie or go on our website: www.EALRadioShow.com. The EAL Hall of Fame Tribute is given to honorable and noteworthy Eastern members who have been outstanding in their achievements and their dedication for Eastern Airlines. The purpose is to honor those that dedicate their lives to keep the Legacy of Eastern Airlines in the hearts and mind of the public and future generations. We want to preserve and memorialize the outstanding accomplishments of each member we induct into our Eastern Airlines Radio Show Hall of Fame. We know that Captain Steve Curtis Thompson was one of our heroes on the Flight 855 along with his Captain and Crew. He has also given the last few years volunteering as a Host for our EAL Radio Show Broadcast and has been our confidant in working to present worthwhile Episodes for the Eastern Family. He has done a marvelous job in every episode he participated in on Monday evenings. Please join us in this special Episode as we would love to have as many of the Eastern Family and friends be there to honor him along with us. Thank you for being part of our Eastern Family! Steve Curtis Thompson was born in Clyde, NC to the late Judd Curtis and Mary Lee Thompson. 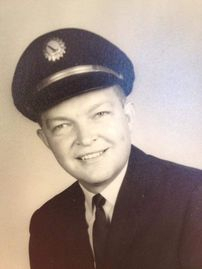 Captain Thompson started a long and distinguished career in aviation as a Co-pilot for Piedmont Airlines at 19 yrs of age, and held numerous flight management positions while at Eastern, including Manager Latin America Operations. Steve served as an Eastern Airline Captain and his tenure with Eastern began in 1957 until 1991, eventually retiring with Eastern Airlines as a Captain on the L-1011 Tristar. Steve after the demise of Eastern Airlines was employed as Northeast Sales Director for an Avionics Manufacturer. He was also a Certified Flight Instructor for this company. His career in aviation led him to the love of his life for almost 60 yrs, his surviving wife, Glenda Snow Thompson, formally from Mt. Airy, NC. His love and passion for flying was second only to his love for family. After the untimely deaths of both his parents, he became the patriarch to his 5 younger siblings, their expanding families as well as his own growing family. All three of his children acquired the same passion for aviation and pursued careers in that field. Steve was our Host who joined Neal shortly after the inception of the EAL Radio Show and brought his vast Radio Station experience to the EAL Broadcast having worked as an Announcer and Disc Jockey during his high school and college years. He hosted the show from Roaring Gap, NC, in the mountains near the Blue Ridge Parkway, and at times when Steve and Glenda were visiting our area, he was on the broadcast with Neal in his Ponte Vedra studio. Neal had many a grand time together with Steve during these years, and his dedication to the EAL Radio Show will never be forgotten, nor will Steve. He was a special person and there for us whenever we needed him. Friends like Steve are very hard to come by, and he will be missed terribly. On May 5, 1983, a Lockheed L-1011 TriStar, registration N334EA, operating as Eastern Air Lines Flight 855 en route from Miami International Airport to Nassau International Airport, experienced the loss of all three engines near Miami, Florida. The flight crew succeeded in restarting one engine in time to safely land the aircraft at Miami International Airport. Eastern Air Lines Flight 855 took off from Miami International Airport at 08:56 on a flight to Nassau International Airport in the Bahamas carrying 162 passengers and 10 crew. On board was a veteran flight crew, consisting of Captain Richard Boddy (58), Captain Steve Thompson (48) and Flight Engineer Dudley Barnes (44). Captain Boddy had more than 12,000 hours of total flying experience, although he was new to the L-1011, having logged just 13 hours in the aircraft type. On this flight, Captain Thompson served as a supervisory check airman. He had accrued close to 17,000 flight hours throughout his career, with 282 hours in the L-1011. Flight Engineer Barnes had more than 9,000 hours of total flying time, with 2,666 hours clocked in the L-1011 cockpit. At 09:15, while descending through 15,000 feet (4,572 m), the low oil pressure indicator on the TriStar's number 2 engine illuminated. The flight engineer noted that the oil pressure on the #2 engine was fluctuating between 15 and 25 psi; the minimum pressure required for normal engine operation was 30 psi. The captain ordered the flight engineer to shut down the engine. By this time, the plane was about 50 miles (80 km) from Nassau. The crew elected to return to Miami to land. Flight 855 received a clearance back to Miami, as well as instructions to begin a climb to FL 200 (20,000 ft, 6,096 m nominal altitude). En route back to Miami, low oil pressure lights for engines #1 and #3 illuminated and the oil quantity gauges for all three engines read zero. At 09:23, Flight 855 informed Miami ARTCC of the engine gauge readings but stated, "We believe it to be faulty indications since the chance of all three engines having zero oil pressure and zero quantity is almost nil." At 09:28, at an altitude of 16,000 feet (4,877 m), the #3 engine failed. Five minutes later, the #1 engine flamed out while the crew was attempting to restart the #2 engine. Cabin lights went off and flight deck instruments stopped working. The aircraft descended without power from about 13,000 feet (3,962 m) to about 4,000 feet (1,219 m), at a rate of descent of approximately 1,600 feet (488 m) per minute. The crew successfully restarted the #2 engine on the third attempt and executed a one-engine landing at Miami at 09:46 After the landing the power from #2 engine was insufficient for the aircraft to taxi; a tug had to be used to tow it to the airport terminal, where the occupants disembarked normally. None of the 172 passengers and crew aboard were injured in the incident. The National Transportation Safety Board determined that the probable cause of the incident was as follows: The omission of all the O-ring seals on the master chip detector assemblies leading to the loss of lubrication and damage to the airplane's three engines as a result of the failure of mechanics to follow the established and proper procedures for the installation of master chip detectors in the engine lubrication system, the repeated failure of supervisory personnel to require mechanics to comply strictly with the prescribed installation procedures, and the failure of Eastern Air Lines management to assess adequately the significance of similar previous occurrences and to act effectively to institute corrective action. Contributing to the cause of the incident was the failure of Federal Aviation Administration maintenance inspectors to assess the significance of the incidents involving master chip detectors and to take effective surveillance and enforcement measures to prevent the recurrence of the incidents.